The City of Colwood is supporting our local community to create a Community Garden on the City Hall property at 3300 Wishart Road. The garden will be managed by the Colwood Garden Society — a not-for-profit group of local citizens. Community gardening is recognized as an extremely valuable activity that contributes to people's health and well-being by renewing our connection to nature and producing fresh, wholesome, nutritious food. Gardening encourages healthy outdoor activity, positive social interaction, protection and use of open space and all the benefits that come with growing local food: healthy eating, lower food costs, and community resilience if faced with food shortages or a large scale emergency. Garden design finalized, fencing materials purchased, water system put in place. Fence constructed, soil delivered, garden beds prepared. Plots rented, work parties held, beds planted. Work with Wishart Elementary to create a garden club and with Royal Bay Secondary Trades Program to construct a shed. Become a member for $10 and rent your plot for $45 for a full season of gardening, growing, learning and socializing. Once the plots are ready there will be a membership garden party. Volunteers are vital for the garden to be successful. In addition to helping out in the garden, there are opportunities to be an active member of the society board and committees. Donation are welcome. If you have gardening skills, tools or materials to donate, or would like to support the community garden financially, please contact the Society. Thank you to Alpine Soil Mart for donating 3 yards of soil! 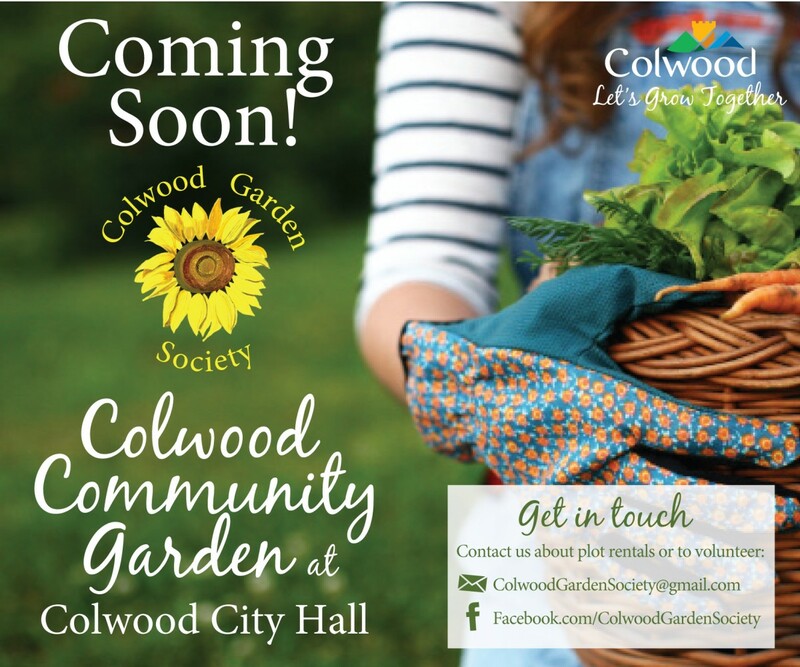 Connect with the Colwood Garden Society on Facebook at https://www.facebook.com/ColwoodGardenSociety/. If you have questions or ideas about growing food on public property in Colwood, please contact the Colwood Planning Department at planning@colwood.ca or 250-478-5999. At Colwood School, you will find the Westshore Teaching Garden, where school age youth and community members of all ages can learn sustainable gardening practices through hands-on lessons and projects, throughout the year. The City created the Painter Trail in 2016 to connect the Wishart neighbourhood to the new Royal Bay community. The park area near Painter Road features carefully considered landscaping that includes edible plants. In time, the Painter Trail 'Food Forest' will provide a model for local food growing and a healthy source of locally grown fruit, nuts, berries and herbs. The Goldstream Market is a farmers' market where everything is homemade, handmade or home grown. Enjoy live music, food trucks, water park & playground for the kids and a grassy picnic area. Vendors offer local fruits and vegetables, fresh-baked breads and goodies, unique and quality crafts and textile creations. LifeCycles cultivates community health from the ground up by connecting people to the food they eat and the land it comes from. We support people in gaining the knowledge, skills and resources needed to access, grow and preserve local food in ways that foster biodiversity and enhance our urban environment. The Capital Region Food and Agriculture Initiative Roundtable (CRfair) is dedicated to connecting people to the resources required to create a healthy and sustainable regional food system. Some of their projects include Farmer2Farmer capacity building, youth initiatives and helping to create Good Food Policies. The Greater Victoria Seed Library offers free access to seeds and seed saving education. Their goal is to support local food security and steward our region’s biodiversity. The Compost Education Centre is a non-profit organization that provides composting and ecological gardening education to residents of the Capital Regional District. They provide workshops, school programs and fact sheets on a broad range of topics, including composting, organic gardening, and sustainable living topics. Falling Fruit is an interactive map that celebrates the overlooked culinary bounty of our city streets to facilitate intimate connections between people, food, and the natural organisms growing in our neighborhoods.